A three-day, two-night excursion based in Tokyo. This itinerary is complete with time in Tokyo as an added bonus. Note: Kinsei Pass is closed between late December and late April due to snow. Arrive in Kinugawa Onsen Arrive at Kinugawa Onsen. Optionally enjoy such attractions as Edo Wonderland Nikko Edomura and rafting the Kinugawa River. Arrive in Minakami Onsen Afternoon Then head to Minakami-Onsen. Chartered bus Travel to Tokyo by chartered bus. Take a stroll along the stone stairway market at Ikaho Hot Spring. 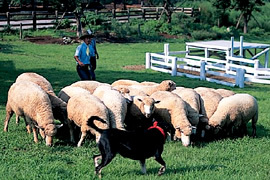 A trip to enjoy the natural scenery near Tokyo and have some fun experiences. 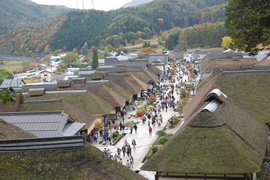 Stay in Gunma Prefecture on the outskirts of Tokyo, and get your fill of local sightseeing. Combined with a stay in Tokyo, this trip is filled with interesting things to do. Gunma Prefecture has many hot spring areas, and an overnight stay at any of them can be included in any of the packages. U-pick fruit stops are also available, depending on the season. Inquire for details. Chartered bus From Tokyo or Narita Airport to Gunma Prefecture by bus. Arrive at a hot spring in Gunma Prefecture. There are many popular hot springs bustling with travelers in Gunma Prefecture. 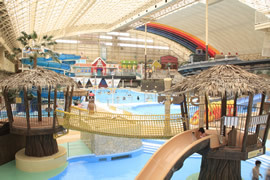 A stay at any hot spring can be included in an itinerary. There are lots of sightseeing spots. Combine the sightseeing packages above to create your perfect trip to Gunma Prefecture. 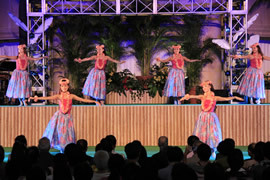 Two days to enjoy World Heritage Sites and hands-on experiences near Tokyo. 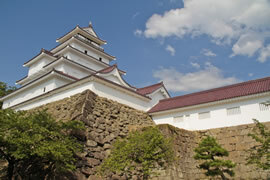 Stay in Tochigi Prefecture on the outskirts of Tokyo, and get your fill of sightseeing. Tochigi Prefecture has many hot spring areas, and an overnight stay at any of them can be included in any of the packages. Chartered bus From Tokyo or Narita Airport to Tochigi Prefecture by bus. Arrive at a hot spring in Tochigi Prefecture. There are many popular hot springs bustling with travelers in Tochigi Prefecture. Lots of sightseeing spots to enjoy. 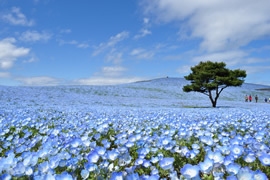 Combine the sightseeing packages above to create your perfect trip to Tochigi Prefecture. 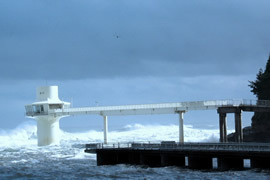 For two days, enjoy the attractions of Shizuoka Prefecture, just a short distance from Tokyo. 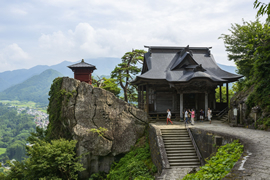 Experience the history of eastern Shizuoka, including its famous temples and shrines (Mishima Taisha Shrine and Shuzen-ji Temple), and the Nirayama Reverberatory Furnace, a World Heritage Site. Experience nature as you can experience it only in Shizuoka Prefecture, home to the ocean, Mount Fuji and other beautiful mountains. Discover microbrews and local wines, and taste the local flavors of fresh seafood from Numazu Harbor. Visit the Nirayama Reverberatory Furnace, registered as a World Heritage Site in 2015. For lunch, enjoy beer brewed with local spring water, and mesh-grilled meat and fish. At Nakaizu Winery, taste locally crafted wines. 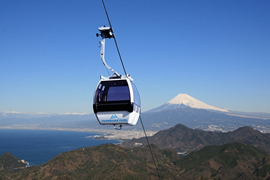 Ride the ropeway at Izunokuni Panorama Park for a sweeping view of Mount Fuji and Suruga Bay. Take a stroll around the town of Shuzenji, popularly known as a Little Kyoto. An Important Cultural Property of Japan and the home of a distinguished family. Views of Mount Fuji and Suruga Bay. Tour the local winery and sample wines. Stroll about the Little Kyoto part of town. 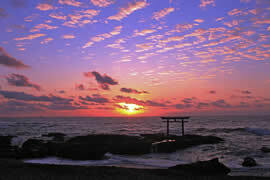 Visit Mishima Taisha Shrine, well known for its spiritual power. Stroll around Kakita River Park where some one million tons of pure spring water gush out of the ground every day. The wonders of nature are truly sights to behold. Enjoy the seafood freshly caught in the Numazu Harbor. A truly unique exhibit! 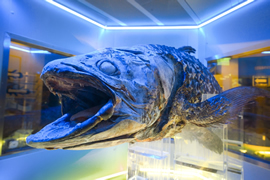 Visit the Numazu Deepblue Aquarium where they have a frozen coelacanth (the living fossil fish) on display. Enjoy shopping at Gotemba Premium Outlets, located on spacious grounds with a view of Mount Fuji. A location of great spiritual power. The wonders of nature are truly sights to behold. See the allure of the coelacanth. One of the largest outlet malls in Japan. This is a condensed itinerary with popular spots that include the World Heritage Site of Nikko Tosho Shrine, Ouchi-juku where you can visit a world out of folktales, Aizu where you can experience samurai culture, and Hitachi Seaside Park with its beautiful world of flowers. Travel by bus from Tokyo to Nikko. 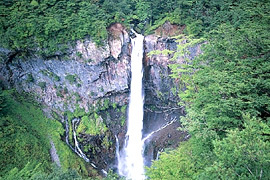 Visit the World Heritage Site of Nikko Tosho Shrine, the Sacred Bridge, the Iroha-zaka Winding Roads and Kegon Falls. Accommodations at Nikko Onsen are included. Sightsee at Ouchi-juku and breathe the air of old Japan. Enjoy a bowl of the popular negi (scallion) soba. 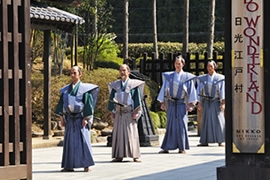 Experience samurai culture. 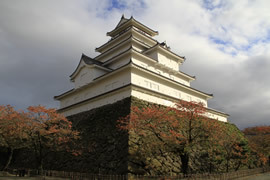 Visit Tsuruga Castle and a samurai mansion. Pick fruit at a U-pick and sample some sake. See the red, green and blue colors of Goshiki-numa. Visit the Iwaki City Coal and Fossil Museum to learn about how coal was once mined. 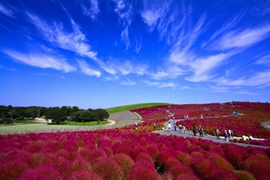 Admire the seasonal flowers at Hitachi Seaside Park, a national park, in a leisurely way only possible when you stay over. 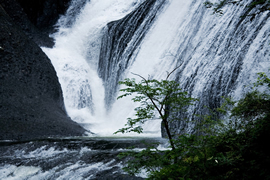 Visit Fukuroda Falls, one of the three great waterfalls of Japan. Refresh your soul with the copious negative ions given off by the cascading water! The thrill of a lifetime! 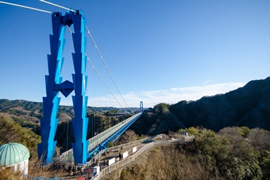 Walk 375 meters across Ryujin Suspension Bridge, 100 meters above the river floor. Mouthwatering seafood cuisine. Stay in accommodations with a large public bath overlooking the Pacific Ocean. Go shopping at AMI PREMIUM OUTLETS with a view of Ushiku Daibutsu, a statue of Buddha 120 meters tall. Note: Although you can create a tour at other than prearranged times, please note that the time may not be right for seasonal flower viewing. The sunrise before breakfast is an excellent option! Depart from the hotel first thing in the morning for Hitachi Park. 3 hours to fully enjoy the garden. Enjoy a stroll around the historical town of Sawara. 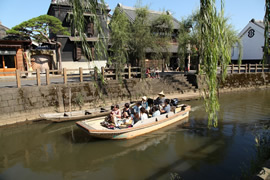 From a river boat, gaze upon important traditional buildings of Sawara. For accommodations, Katsuura Onsen is waiting for you. 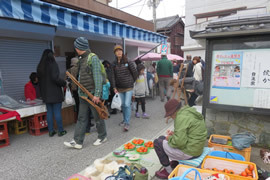 At the Katsuura morning market, you will find products from the bountiful blessings of the sea and the mountains. Note: The morning market is closed on Wednesday. Travel from Tokyo to Sawara by bus. Enjoy a stroll through the historical town. Gaze upon the important traditional buildings from a river boat. Accommodations at Katsuura Onsen wait you. Explore the morning market, where the town residents shop for their daily meals. Enjoy the Japanese-style Sankeien Garden, which was created in 1906 in historical Yokohama and has buildings designated as Important Cultural Properties. This visit includes a tea ceremony. Note: Tours are not held when the workshop is closed. Hakone Miyanoshita. Arrive at Fujiya Hotel.